Donald E. Ambrose is a Member of Keevican Weiss & Bauerle LLC. His practice is concentrated in banking, commercial financing transactions, municipal finance, bond transactions and commercial real estate. He has wide experience representing institutional lenders and borrowers in corporate financing transactions with respect to both asset (UCC and non-UCC collateral) and real estate based credit facilities. He has frequently assisted developers and financiers in commercial real estate projects. He has also represented underwriters, municipalities and issuers in municipal bond offerings. 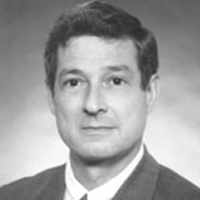 Prior to joining Keevican Weiss & Bauerle LLC in 1994, Mr. Ambrose was Vice President and Senior Counsel for PNC Bank. Represented a regional lender providing a $4,500,000 term loan to a multi-state provider of transportation and disposal services to the waste industry secured by rolling stock. Disclosure Counsel in a $147,000,000 competitive bid municipal general obligation bond issue for the City of Pittsburgh. Letter of Credit bank counsel in a $55,000,000 aggregate principal amount series of variable rate demand revenue bonds issued on behalf of a regional health care provider. Negotiated and drafted documents and closed a $60,000,000 senior secured syndicated credit facility to a replacement residential window manufacturer and distributor with multi-state locations. Represented a private investment partnership providing revolving credit and term loan financing (with warrants) to a newly formed entity to acquire the assets of a leading producer of specially coated textiles operating as a debtor-in-possession in Chapter 11. Represented a regional limestone mining company in refinancing revolving credit, non-revolving credit and term loan indebtedness aggregating $11,500,000 secured by all commercial personalty of the borrower (including as-extracted mineral inventory consisting of quarried limestone) and fee-simple and leasehold mortgage liens against all of its real estate. Represented a community development corporation in its income participation investments in and term loans to small entrepreneurial businesses in Western Pennsylvania. Represented an owner and its operator of a state-regulated assisted care living facility in refinancing of existing indebtedness with permanent financing insured by the U.S. Department of Housing and Urban Development. Represented the same owner and operator of a state-regulated assisted care living facility in the sale of assets to a national provider of assisted living and retirement communities. Represented a privately held financial services company in the development of a master program for the owner and licensor of computer programs and documentation to provide financing of user license fees. In conjunction with an affiliated entity, Fi Cap Strategic Partners® LLC, performed credit policy and portfolio analysis for a government related secondary market lender. Represented the administrative agent in a regional bank syndication providing $25,000,000 senior secured revolving credit facilities to a regional full service electrical contractor. Represented a national provider of employment and background screening services in connection with the $26,500,000 aggregate principal amount revolving credit and term loan facilities. Pennsylvania real estate counsel to a privately held energy company engaged in the exploration, development, production, gathering, aggregation and sale of natural gas and oil in the Appalachian Basin in connection with the $200,000,000 refinancing of its credit facilities. Represented a regional lender providing $10,700,000 senior secured revolving credit and term loan facilities to a regional designer and manufacturer of chemical roof support and rock stabilization and ventilation sealing products to the mining and underground construction industries. Represented a regional lender providing $15,000,000 revolving credit facilities secured by diverse portfolios of marketable securities to a Native American tribe. Representing a regional lender providing $7,000,000 senior secured revolving credit and term loan facilities to a provider of custom software solutions. Represented a corrugated specialties packaging company in connection with a $13,000,000 aggregate principal amount senior secured revolving credit and term loan facilities.